The Coin Through Can has evolved. 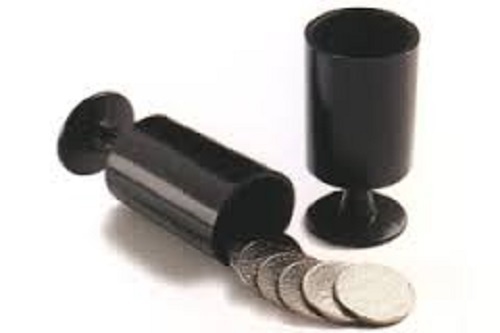 The magic happens IN THE HANDS of the spectator where a borrowed (and signed if desired) coin is thrown from a distance towards an empty soda can that a spectator holds in THEIR HAND... The coin is flicked towards the can... only to magically PENETRATE the fibers of the metal and land INSIDE the can! The spectator HEARS and FEELS the coin's arrival inside the can. This is shocking, super magical and organic magic at its best - it's the ultimate "in the hands" experience! Finally, the coin is dumped out and given back to the spectator. The totally hands-off arrival of a borrowed coin inside an empty soda can makes this effect stand out above all other versions. This looks and feels like the real deal... 'cause it IS the real deal. How about actually knocking the can over as the coin is magically being shot inside the can? This animation adds another dimension to this beautiful plot! 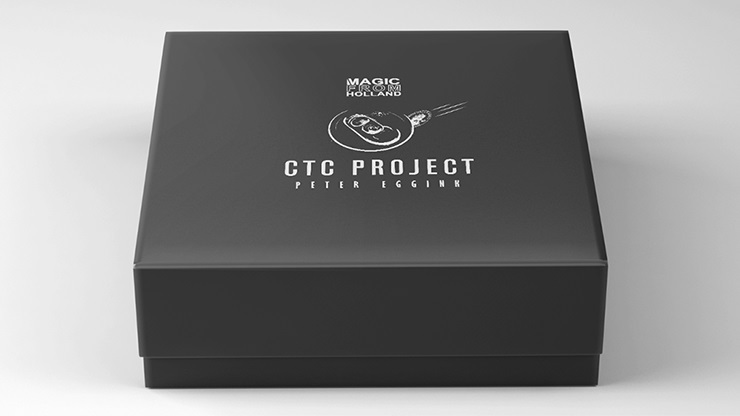 Key Points of Peter Eggink's CTC Project: The arrival of the coin is 100% under your control. NO thread work. Comes complete with stealth remote. Use ANY brand of soda can. Perfect for close-up, parlor and stage. Resets in seconds. Very easy to do. 360 degree performing angle. CTC Project comes complete with special engineered electronic gimmick that fits on any standard sized can, remote and online instructions (supply your own can).